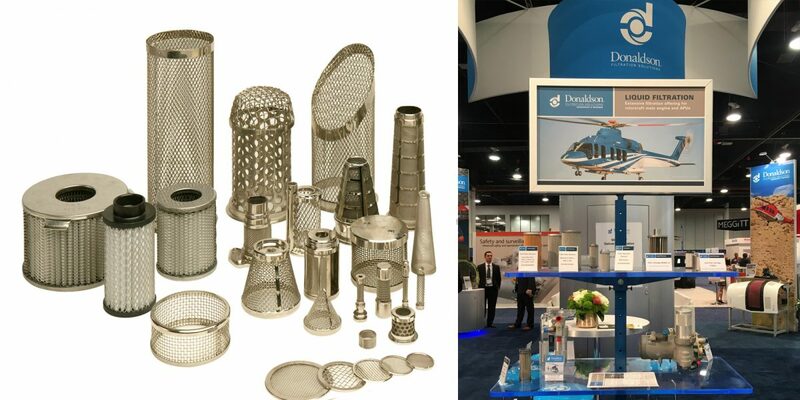 The biggest names in aerospace rely on Donaldson’s ever-evolving portfolio of filtration solutions. A deep understanding of the aerospace industry, coupled with the most innovative products, has resulted in a robust product line that meets the needs of those who operate ground vehicles, airplanes, rotorcraft, space and marine vehicles. KADEX is excited to offer the Canadian aviation industry with the ideal Donaldson filter. With an extensive variety of filters for rotorcraft, general aviation, and regional airlines, Donaldson has ensured there is a filter to suit your needs. Donaldson filtration systems are easy to install and maintain, as the company has been designing and manufacturing liquid filters since 1925. Donaldson air filters for general aviation are rated to last 500 hours, which is five to ten times longer than foam filters. After extensive testing, Donaldson can proudly guarantee that their filtration systems greatly exceed others, with 98.5% or greater filtration efficiency. “We are excited to offer a wide variety of liquid & air filtration products from Donaldson filtration to the Canadian market. The Donaldson name holds a great deal of credibility when it comes to filtration in the industry with applications for rotorcraft, general aviation, regional and commercial,” says Jordan Lavery, Director of Business Development, at KADEX Aero Supply. Please click here to learn more about the filters KADEX distributes.